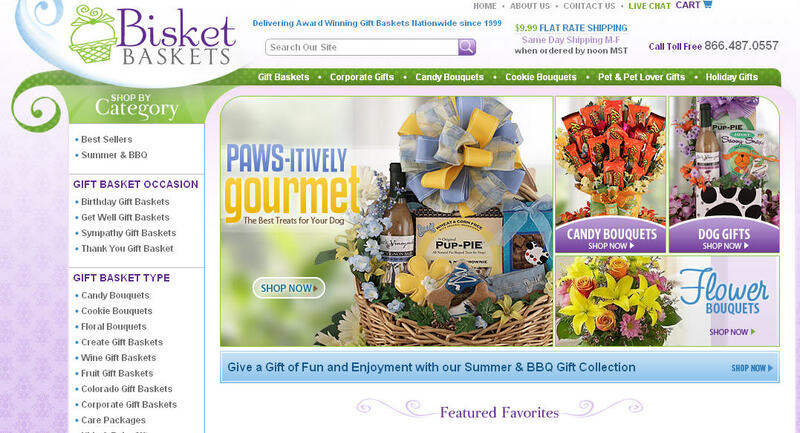 And The Curtain Goes Up For…The New Look Of BisketBaskets.com! Just as clothing styles change every few years (and every season, for some! ), websites need a bit of a sprucing up from time to time, too. Our customers are our top priority, and creating an easy-to-navigate website is our utmost concern, as we want you to be able to spend less time shopping online for our beautiful gift baskets, and more time actually enjoying them! And that’s just what we did – check out the new and improved BisketBaskets.com! We’re so proud of the new site, we just adore it, and we think the colors are so warm and friendly! We hope you’ll visit the site, take a look around, and of course let us know if there’s anything extra you’d love to see! A big THANK YOU goes out to all the talented people who helped us plan and design the new site, as well as the great feedback we heard from our friends and loyal customers!